Robert William Jamison was born on 21 March 1893 at Newcastle, County Down, the fourth of seven children of RIC constable John Thompson Jamison and his wife Isabella (formerly McGrath, nee Connolly). Following the death of his mother in 1901, Robert and two of his siblings lived at the farm of their uncle, Andrew Jamison, at Ballealy North, Randalstown, County Antrim. By the time of the 1911 Census he was still living at Ballealy North and working on the farm. Jamison joined the Royal Irish Constabulary on 5 February 1912 (No.66383), serving first at Carlow, then at Brickfields Barracks in Belfast from 1914. 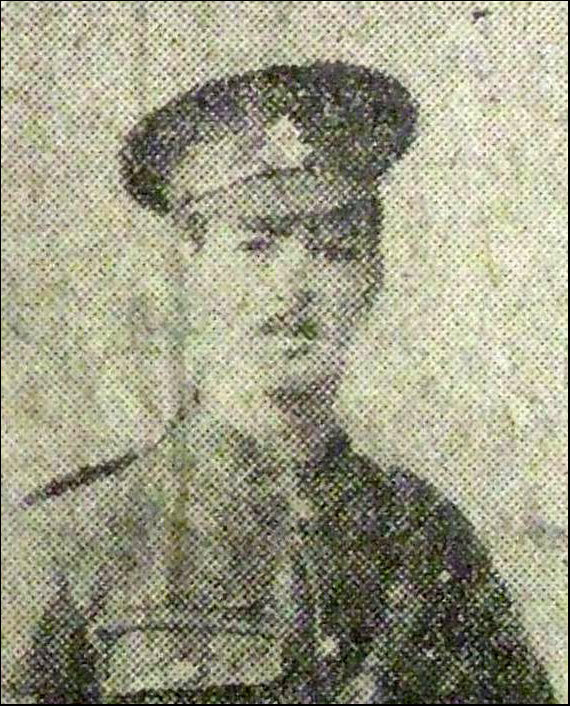 On 10 April 1916 he enlisted in the North Irish Horse (No.2144). He embarked for France in late 1916 or the first half of 1917, serving with one of the squadrons of the 1st or 2nd North Irish Horse Regiments until September 1917, when the 2nd Regiment was disbanded and most of the men, together with some surplus to the needs of the 1st Regiment, were transferred to the 9th (Service) Battalion, Royal Irish Fusiliers – renamed the 9th (North Irish Horse) Battalion. Jamison, like most, was transferred on 20 September. He was issued a new regimental number – 41263 – and posted to C Company. He probably saw action with the battalion at the Battle of Cambrai in November and December 1917. Jamison was one of the many men of the battalion listed as missing following the retreat from St Quentin from 21-28 March 1918, during the German Spring Offensive. It was later found, however, that he had been wounded. He was evacuated to the UK for treatment and saw no further part in the fighting. On 2 January 1919 Jamison was discharged as being no longer physically fit for war service due to his wounds (Paragraph 392 xvi, King's Regulations). The following day he was readmitted into the Royal Irish Constabulary. On 10 September 1919 Jamison married Annie Millar of Belfast at Eglinton Street Presbyterian Church. Jamison remained with the RIC at Belfast until the force was disbanded in 1922. He then served with the Royal Ulster Constabulary, rising to the rank of head-constable. He died at his residence, 11 Grand Prix Park, Comber Road, Dundonald, County Down, on 11 August 1962, and was buried in the Roselawn Cemetery. Two of Jamison's brothers, Andrew Thompson and John Campbell, also served in the army during the war. Another brother, James Alexander, served in the RIC. Image from the Belfast Evening Telegraph, kindly provided by Nigel Henderson, Researcher at History Hub Ulster (www.greatwarbelfastclippings.com).